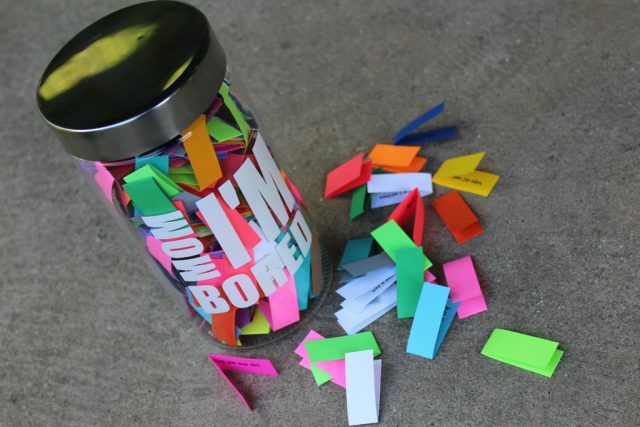 Thanks for joining our giveaway for the Boredom Jar! I’m happy to say that Dorcas S is the winner – the “mean mom” who doesn’t allow her children to use a lot of devices. And no, I did not pick her for that reason. Random.org picked her, for its own inscrutable reasons. Again, thanks for joining the fun. Thank you so much!! I’m so excited to use this. Hope you and your children enjoy it and make many happy memories, Dorcas! This summer is speeding by quickly for us and we haven’t faced boredom yet. I’m not sure if I’m working them too hard or if my kids have finally developed some sustainable hobbies. Linette blessed me with one of these Boredom Buster Jars and we are having SO much fun with it. Glad you could share it with your readers. I heard about that! 🙂 So happy.